Wi-Fi hotspots is the best thing to log on to the Internet anywhere in the world. There are places on the street where you could connect your device such as laptop, smartphone or tablets to the Internet. Just to get hold of the signal, people will go to lengths just to reach the perfect signal spot. 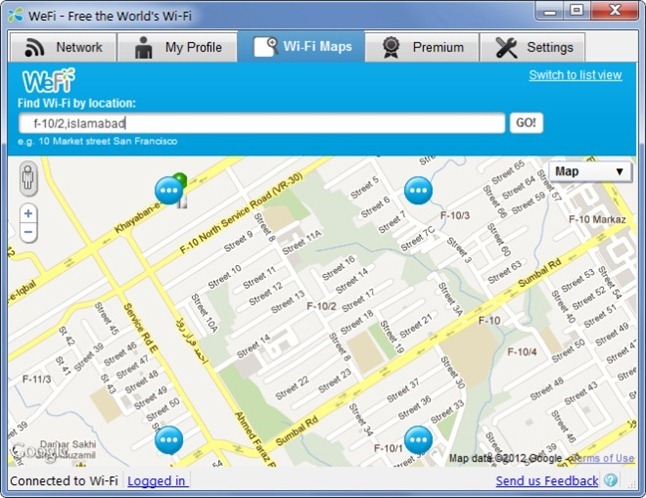 We shall discuss some tips that will help you learn how to find Wi-Fi hotspots in your area. Learning a few tricks to help find Wi-Fi hotspots in your area will always prove to be beneficial. Using these simple tricks, you can find Wi-Fi hotspots anywhere in the world. Restaurant chains such as McDonalds or Starbucks usually offers Wi-Fi to its patrons. Just walk-in and order something to eat for yourself. And enjoy your time while surfing the Internet. You could walk into a mall and get free Wi-Fi to access the Internet. Many malls do offer free Internet services to their customers while they shop. At times, grocery store chains or departmental stores also offer their own hotspot areas to their regular patrons. Hotels too offer free Wi-Fi to their guests. So, better look for free Wi-Fi services when you book your room. This will allow you to work on your laptop in your room, the hotel lobby or even the garden! You could even go to the airport and use the free Wi-Fi service. However, not all airports offer free Wi-Fi and it depends on the country as well as city you are travelling to. You could use Wi-Fi hotspot locator apps to find the nearest spot. These apps are available free on both Android, iOS as well as Windows. Download and install an app before you move out of network. Open the app when you are out of connectivity and using your GPS location, it will display the nearby Hotspot areas. Don’t rely on these apps too much. They are good, but may not show up-to-date results at all times. Google or Bing too will help you find hotspot areas around you. When using Bing, you should switch over to the U.S. version to find hotspot areas in India. All you need to do is type Wireless Hotspots in South Mumbai or Wi-Fi Hotspot near Pune. These are some of the easy tricks to help locate Wi-Fi hotspots. Seek free Wi-Fi hotspots whenever possible, as it will help you save precious data whenever possible.